The best hosting solution for your business depends on your unique situation, preference and comfort level. Each hosting solution has its own merits. While many providers only offer cloud hosting, we’re agnostic. We will consult with you to help you determine the optimal hosting model for your specific needs. Whether deployed in the cloud or hosted locally, we deliver the most reliable computing solutions software and integrate the components carefully and seamlessly into your business. Our powerful DS90 iSeries software works equally well whether it’s hosted on an IBM Power i server or in the cloud. And as your business evolves — or if your needs change — you can depend on our expert support. STABILITY: Highly resilient. 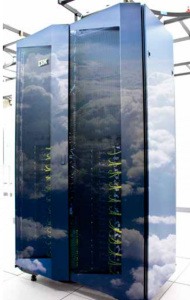 Built for mission-critical applications, IBM Power System servers provide embedded redundancy, incomparable up-time and legendary reliability. 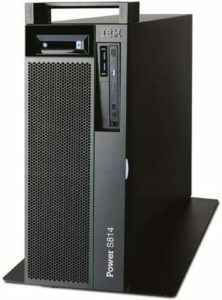 Their compact footprint and durable platform makes these servers a rock-solid choice for any business – large or small. SECURITY: In terms of security, the differences between the IBM Power System servers and competitive platforms are not merely significant – they are dramatic. The industry-recognized system architecture makes it ultra secure and incredibly resistant to viruses. With legendary security capabilities, malware infection is virtually unknown with this platform. AUTONOMY: While you need to be in control of your business operations software, you want to do so efficiently. The Power System’s flexible architecture supports your individual business computing needs, yet is self-managing. What could be better than an expandable, highly scalable solution that allows you to set it and forget it? PERFORMANCE: A powerhouse platform for small business, the Power System enables a large number of users to occupy the same server, increasing system utilization and ROI. Yet it’s expandable with plenty of horsepower to accommodate future growth, scaling up to hundreds of users if desired. Cloud hosting offers some key advantages. While the platform and speed are the same as local hosting, you’ll have no equipment costs, saving you time and money when it comes to managing your most important information. What makes us different from other cloud providers? Our cloud provider owns, operates and controls the datacenters, as opposed to renting space in a datacenter. As the user hosting in the cloud, you’ll still control security, so you can be confident that your information is safe and secure in a high security data center. Minimal capital outlay: Capitalize on the latest technology infrastructure and resources without a large capital expenditure. Reduced expenses: Maintenance contracts are decreased since hardware is consolidated and eliminated; no need to staff 24/7 for equipment support. Cash-flow friendly solution. Stop over-investing for infrastructure you may not need until later; pay only for the resources you need. Real-time provisioning: Can add resources or computing power overnight or instantaneously on the fly. Minimize vendor management: Standardization across machines ends multi-vendor management for hardware and software. Accessible from anywhere. Since users access your software through a web browser, real-time data is available any time, any place, on any device with secure internet access. Secure data center storage: Gain peace of mind knowing that your data is safe and securely managed with an experienced team in a high security data center. Optimized performance and stability: Cloud architecture is designed to maximize network performance and adjust dynamically to fluctuations in demand. Dynamic updates: Upgrades are rolled out seamlessly and resources or computing power can be added in real-time.